In January, Nina Simone recorded her album I Put a Spell on You. The title song peaked in the United Kingdom at No. 49 later in the year. Paul McCartney imitated Simone’s phrasing in “I Put a Spell on You” while singing the bridge of his own song “Michelle,” per John Lennon’s suggestion. The Beatles’ track won the Grammy for Song of the Year and was the 42nd most played song of the century, per BMI, even though it was never released as a single by the Beatles. Unlike most of her musical contemporaries, Simone dared to tackle racial themes head-on in tracks such as her cover of Billie Holiday’s lynching song, “Strange Fruit,” which was why activist Stokely Carmichael called Simone the true singer of the civil rights movement. The “Black Is Beautiful” cultural movement was gathering steam in its fight against internalized self-hatred. The phrase was perhaps first introduced in 1962, when the African Jazz-Art Society and Studios put on a fashion event in Harlem called the Grandessa Models Naturally—“The Original African Coiffure and Fashion Extravaganza Designed to Restore Our Racial Pride & Standards.” The movement celebrated dark skin, African facial features, and natural, unstraightened hair. Simone replaced her wig and gown with an Afro, African dresses, turbans, and hoop earrings. Diana Ross’s favorite wig, on the other hand, was modeled on Annette Funicello’s coif. 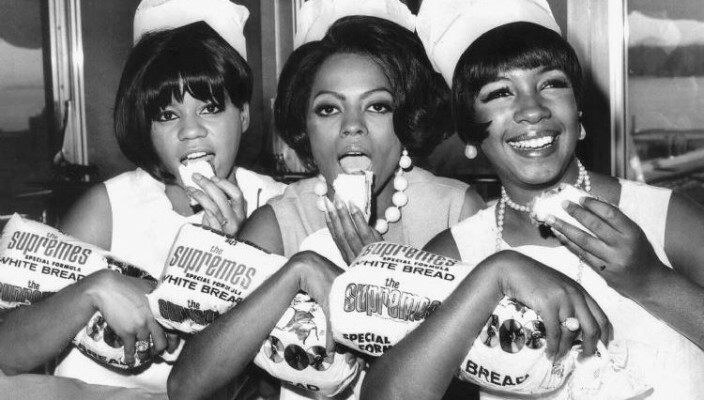 Motown’s mogul Gordy even secured a deal with a Lansing, Michigan, company to produce the Supremes Special Formula White Bread, with the group’s image on the package.